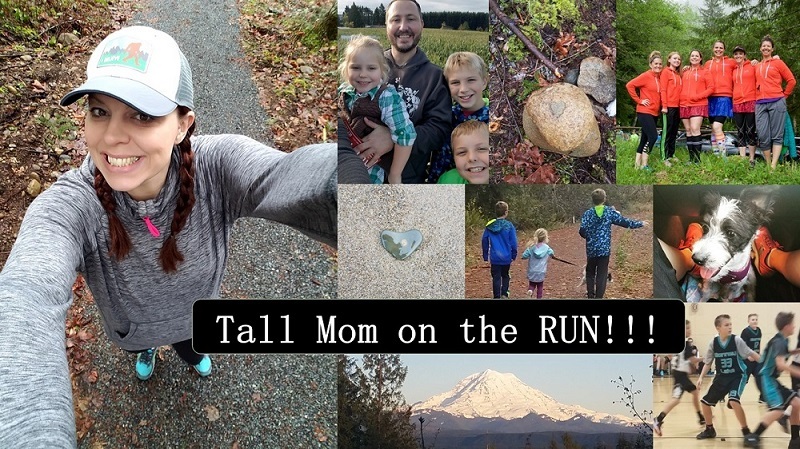 Tall Mom on the RUN: What kind of Christmas are you? Haven't tried NUUN yet, so this seems like a good opportunity! Outside, we have a few lights to sparkle the night, but inside, we are bursting at the seems with snowmen, Santas, moose and a HUGE village. There is a little bit of everything on the table this year because we are going to have a FULL house. On top of our tree is a huge star. Under the tree are a few thoughtful and special gifts. For Christmas I like to be surprised, but love the surprise on other's faces more! This year I threatened my husband if he got me anything! :) We just got back from Disney World and we have Boston in April. Those are two HUGE gifts that I don't take for granted! I'm dreaming of a white AND sunny Christmas! It's possible. We celebrate on Christmas. No if, ands or buts. No travel for me at Christmas. They all come to our house! Fun game! Thanks for hosting! Ooo. I met my running partner for a run last night around a neighborhood to look at all the lights. It was a lot of fun! Glad you had a great time. Congrats on going strong with your challenge! 3.) My mom is French, so cheese... lots and lots of cheese. 4.) Feathers. We call it the chief tree. 5.) A few special, thoughtful gifts. A- Piles and piles of gifts for miles for lots of family! C- Both, running stuff & gift cards! C- Both days, all day! 5. C - lots of gifts for my son cause and a few for ourselves. White lights only on the house. Piles of presents, S is a spender/giver. I like to pick out my gifts and sometimes will buy them and wrap them for myself. No travel, we'll just be home. Your fun run sounds like a lot of fun. 3. Turkey (when going to my husband's family which is where we'll be this year). 5. Nothing! My husband's side of the family does traditional gift exchange but he handles all that. My side of the family does not exchange gifts and donate to a local charity in lieu of getting gifts. 7. Nothing, see #5 above! Glad you had fun last night!!! And thank you for giving me something fun to do to pass a few BORING minutes at work today. Here goes. 6. For Christmas I like to.. SURPRISE ME! 1. B.Rudolph and the Misfit Toys! This was fun, thanks! I practically live on nuun, so winning this would be RAD! 5) C - nothing yet! 6) A or B - I don't mind getting what I ask for but I appreciate thoughtful surprises. I do not like last-minute, no thought gifts. No travel for me, I'm hosting this year! 4. C- Nothing... opps, never finished it. 5. C- Nothing... don't put gifts out until Xmas Eve. Otherwise the little ones keeps trying to open them! Your run together sounds wonderful! Best way to see the lights. 1) A - What?? Santa is fictional??? 5) A - too many gifts! 8) C - Running Christmas (I want to get my family to start a active tradition! Great little quiz. Cool to see how the answers fall! 5. C - Nothing right now since we have cats! The presents will go out soon and then it will be more like B. 6. C - A combination of both surprise and picking out my gifts. 9. C - Both, Christmas Eve is the big dinner and Christmas we open presents! 10. D - No travel for me!! 7. It is the first year I basically asked for all running stuff! 8. Dreaming of a white but since I live in Texas it will never happen. 9. Both; eve at my parent's and Christmas day at the in laws! 10. Car.....unfortunate thing with a 15 month old! Have a very merry Christmas yourself! 6 - Be surprised, definitely! 9 - The entire weekend, lots of family to see! I've been a blog stalker for awhile but don't think I've ever commented. I love the December challenge that you are doing. I think that would be a good thing for me to try in January. Not sure what NUUN is so you don't have to enter me in the drawing. It was just fun to fill out your Christmas questions. I'm bummed to say that I did not complete the December challenge. After my 5K, I had this week where I didn't want to do anything. But I'm back to running and I will finish out the month. That's what matters right? 1. D. Elf on the Shelf. Ok lets go with A. 7. C-I really wanted my iphone! 2. Too busy to decorate the outside....tree and trimmings on the inside . 3. At home in OK we always did Mexican dinner for Christmas. Totally random. 5.Piles and Piles and Piles of gifts. I'm really not a grinch. It's just that I don't do the whole gift thing. I enjoy the holiday season more as an onlooker. 5. C- Santa delivers 3 presents per child 'cause if it's good enough for Jesus, it's good enough for you! 6. A + C. I like to be surprised but since adult presents are not in the budget, I don't get any. Hubs and I decided to stop buying until we dump all of our debt. We are 61% done! 7. A + C. I dream of a Garmin Forerunner 405 but I know that I am not getting anything--see above. 8. C- Cold. Here in the ATL, we're 60+ degrees with humidity. I'd like it to cool down a tad. 9. B- Christmas morning! Santa is alive and well in our house thanks to our 5 & 7 year old boys! 10. D-staying home with my three favorite guys! Frosty but really like them all. A few lights at places I can reach. Side dishes. I don't really like meat. White! and dreaming it is! * On a side note, my family started a challenge halfway through the month to run a mile a day and it has been great. So far we all have made it 5 days and everyone is feeling stronger. 2)Lots of Christmas stuff because the kids love it but secretly I am counting the days until I can put it all away. 5)Piles and piles of gifts! 8)White! I live in Colorado and we just got 10" of snow!! 10)No travel for us. My daughter's birthday is the 20th and we stopped all Christmas travel when she was born. It makes it too crazy. Love your blog!! I'm a tall mom too! Hmmmm...I have to say I have never been fond of these guys. Frosty in a pinch, I guess. Alas, we don't do a tree. I don't like to be totally surprised by gifts; I like to give some input, THEN be surprised! Both Christmas Eve & Day!